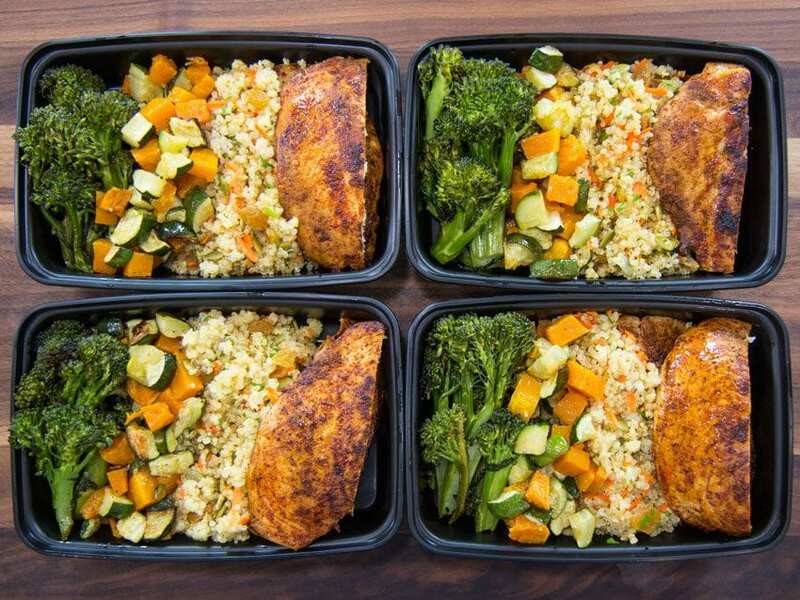 Only 6 ingredients needed for this healthy meal prep recipe for the week. 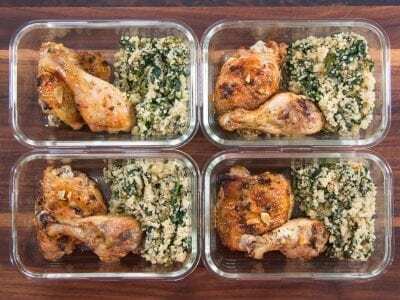 Super easy Greek chicken recipe with lemony quinoa and spinach. 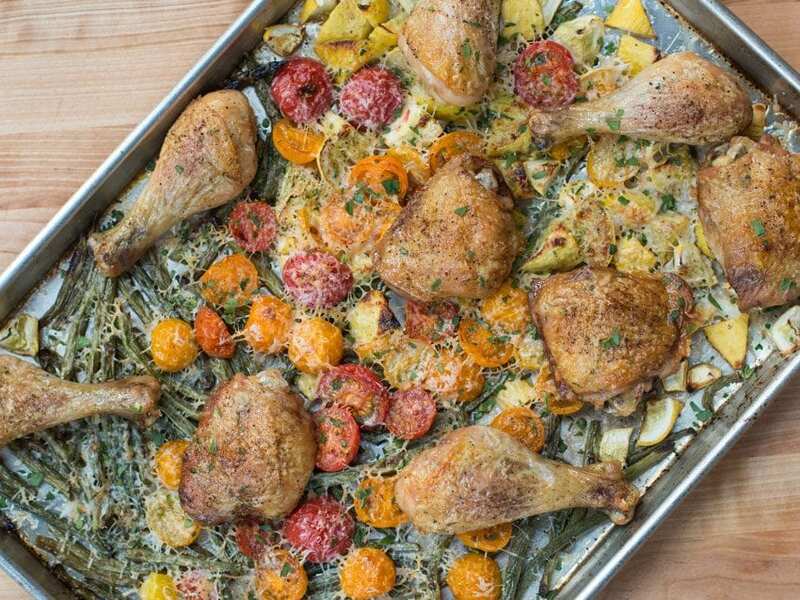 For the chicken, pre-heat oven to 400 degrees F. Line a baking dish with a layer of tin foil and place the chicken inside, you may have to use 2 baking dishes as you don’t want to over-crowd the chicken. Season all sides of the chicken with a generous pinch of salt, a few cracks of pepper, and a dusting of oregano(not too much). In a small bowl whisk together the olive oil, lemon zest, lemon juice, and garlic. Pour the marinade all over the chicken and make sure the garlic is not exposed on top of the chicken or it might burn in the oven. Make sure the marinade is thoroughly distributed all over the chicken and bake in the oven for 1 hour. While the chicken is baking, make the quinoa by bringing 2 cups of water to the boil. Add ½ teaspoon of salt to the water along with the quinoa. 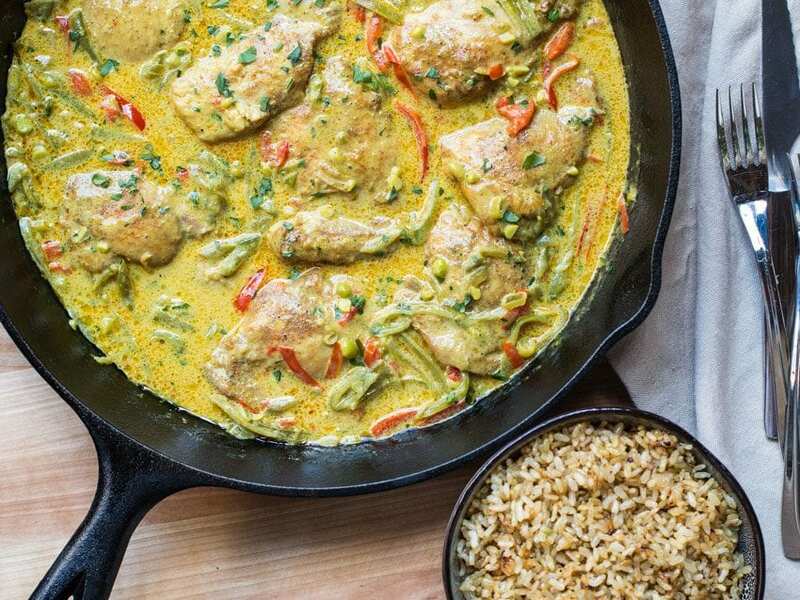 Bring to a low simmer and cook un-covered for 18-20 minutes. You may need to add another splash of water at the end if the quinoa seed has not unraveled. Remove from heat and set aside. Meanwhile, pre-heat a large non-stick pan over medium-high heat with 1 teaspoon of oil for 1 minute. Add the garlic, thyme, and cook for 30-60 seconds until the garlic is golden brown, making sure not to burn the garlic. Add half of the spinach and cook until it has wilted just a little bit, using tongs to mix the spinach. Add the remaining spinach and cook for about 5-7 minutes until it has wilted all the way down, mixing often. Add ¼ teaspoon of salt, a couple cracks of pepper, and a small squeeze of lemon juice. Turn the heat off and give it a taste, it may need a little more lemon juice to make the flavors pop. Combine the spinach and cooked quinoa in a large bowl, mix well, and check it for seasoning. It will most likely need a squeeze of lemon juice. Set aside. If you want more color on the chicken skin, raise the temperature of the oven to 450 F for the last 10 minutes of cooking. After 1 hour, remove from the oven and let cool for 5 minutes. 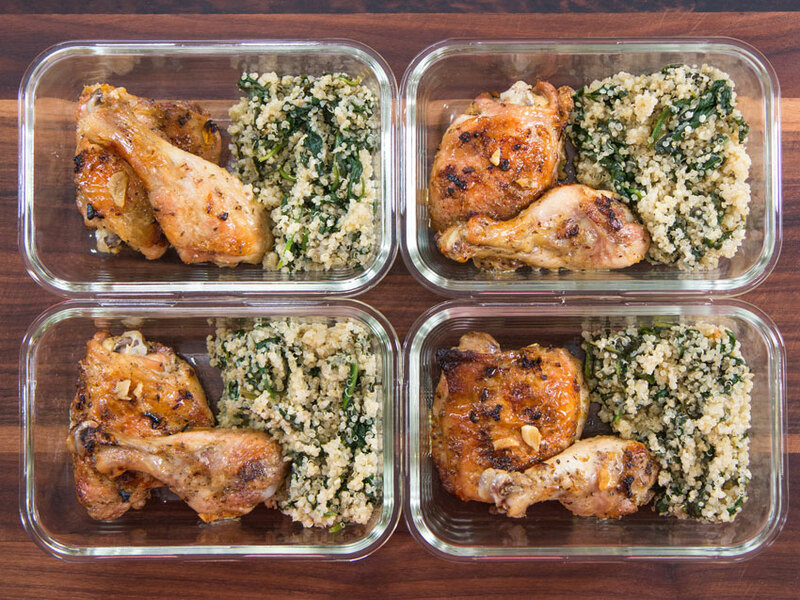 The chicken and quinoa/spinach will keep in the fridge for 5 days or you can freeze it for 2-3 months. When time to re-heat, take the lid off the container, cover with tin foil, and reheat in a 400 degree F oven for 10-15 minutes. If re-heating in the microwave, take the lid off, cover with a wet paper towel, and make sure not to re-heat too long or the chicken will dry out. 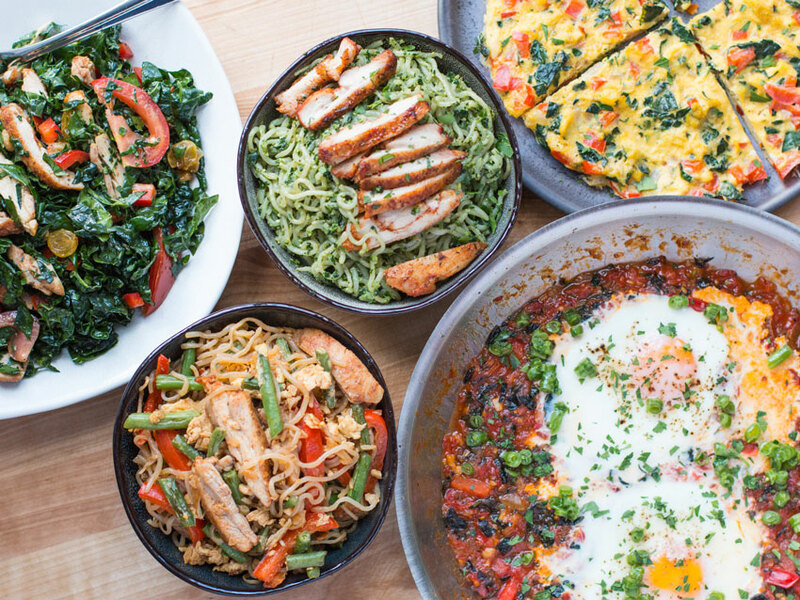 You can reheat the quinoa/spinach or eat it cold. Enjoy!